All too often clients pull us from one place to another, then general distractions take us away from putting in the work that really matters to our own livelihood. This course will help you maximize focus, efficiency and beat procrastination. 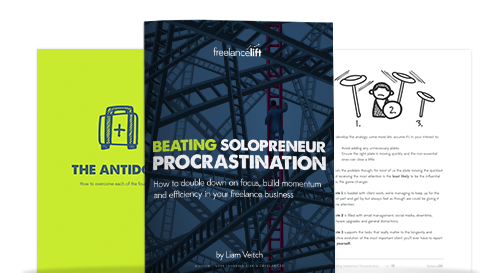 We have a new course added every month to Freelancelift Pro. Each with a workbook for direction and a live workshop. 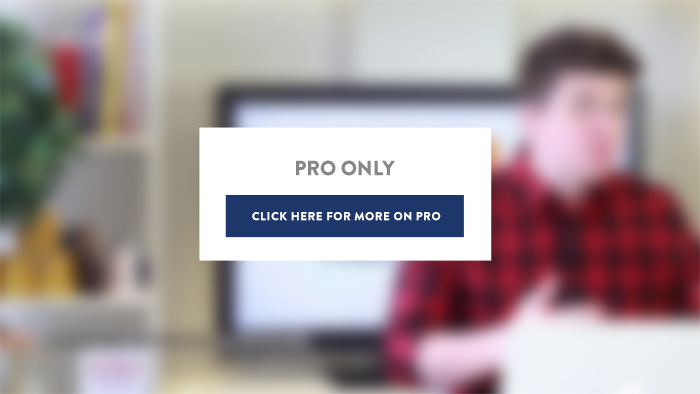 Take this course immediately by joining Pro now (it only takes a few seconds). 1 - Why spin more plates than you can handle? 3 - What are your priorities? As solo players we juggle every role in our business. When we're spinning so many plates it's easy to lose focus, efficiency and allow procrastination to creep in.So how do we start to break that? If you have that 'treading water' feeling, as if you're limited by a natural plateau you're not alone.I call it 'Maintenance mode' and it's vital to break past it. In the last of the trio of introductory 'tough love' lessons, we take a look at why, as freelancers we sometimes place disproportionate amounts of priority on the tasks that don't really matter. As one or two person businesses we’ll rarely be at a point where every activity we carry out on a daily basis is clear to us. So how do you overcome a lack of clarity or skillset? At some level we’re all a victim of a lack of focus. It’s the reason I talk a lot about the ‘Me Project’ as a freelancer and treating your own business progress in the same way you do your clients’. All too often those clients pull us from one place to another, and general distractions take us away from putting in the work that really matters to our own livelihood. In this course we’ll look to tackle it.